UCLA International Institute, June 19, 2018 — Until recently, no comprehensive comparative analysis had been conducted of contemporary Chinese American and Chinese philanthropy. That changed in fall 2017, when the Global Chinese Philanthropy Initiative (GCPI) published “Chinese and Chinese American Philanthropy,” an analytical report on the activities of Chinese philanthropists in the United States and China, respectively. Among its major findings, the report documented dramatic growth in charitable giving by Chinese on both sides of the Pacific. 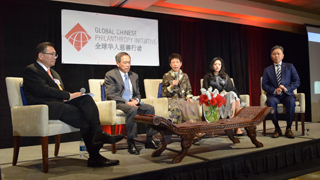 “The project found that the amount of philanthropy by Chinese is not only significant in scale relative to other ethnic groups, but also rapidly accelerating in both the U.S. and Greater China,” says businessman and philanthropist John S. Long, who founded GCPI and serves on its executive committee. The GCPI report was launched in fall 2017 at two major, high-profile launch events in Los Angeles and Hong Kong, respectively. Its findings have already generated significant conversations and exchanges among Chinese American and Chinese philanthropists. Based on the success of those events, GCPI is spearheading an upcoming “Tsinghua Forum” in Beijing. The one-day forum, to be cohosted by the UCLA Asia Pacific Center and the Tsinghua Center for Chinese Entrepreneur Studies, will be held at Tsinghua University on June 28. An actively engaged donor to both UCLA and UC Irvine, Long created the Global Chinese Philanthropy Initiative in 2015, together with several partners and benefactors. Its goal was to foster a community of Chinese and Chinese American philanthropists who could share lessons learned, maximize the impact of their giving and encourage the next generation of young philanthropists. A highly successful real estate developer and investor, Long completed his B.A. in economics at UCLA in 1969 and went on to earn an M.B.A. at the Harvard School of Business. In 1978, he founded Highridge Partners, a private real estate investment firm that invests in all types of real estate and at all steps of the market development process. The privately held company has generated a portfolio in excess of $10 billion and is known for consistently generating high returns as a result of its disciplined investment approach. Reflecting on the “Chinese and Chinese American Philanthropy” report, Long says, “There were several reasons why we felt a bilateral approach to examining, understanding and measuring the impact of Chinese philanthropy was needed. “First,” he explains, “there was nowhere we could find data which presented in a comprehensive way the amount of Chinese giving in the U.S. and in Greater China, and the trend of such giving over the last 10 years. After commissioning the research for 2017 report — overseen by the UCLA Luskin School of Public Affairs and the nonprofit organization Asian Americans for Advancing Justice — GCPI turned to the UCLA Asia Pacific Center for help in developing a website and building an academic network that could support its future work. The website, which hosts the report online, is expected to increasingly function as an information clearinghouse for an expanding community of global Chinese philanthropists. “The Asia Pacific Center at UCLA, led by Professor Min Zhou, has tremendous China and Chinese diaspora resources, so it was natural that there would be a good fit for us to work together to expand the study and outreach of this important field of global Chinese philanthropy,” he says. In its second phase, GCPI is moving to add crucial new elements to the ecosystem it has created, including rigorous academic research and more efficient communication among its participants. The upcoming Tsinghua Forum will feature not only distinguished business leaders, philanthropists and second-generation philanthropists from both sides of the Pacific, but for the first time, a deans’ panel on research and philanthropy in higher education and two academic panels on Chinese and diasporic Chinese philanthropy. Both UCLA Chancellor Gene Block and UCLA Vice Provost for International Studies and Global Engagement Cindy Fan will participate in the Forum, together with senior officials of UCLA, UC Irvine and Tsinghua University. “Phase I in many ways was an exploratory research project that integrated data, narrative and analysis across Chinese philanthropists in Greater China and the U.S.,” comments Long. “This had never been done through a bilateral and interdisciplinary approach, and the results of this exploratory research led to three broad areas where this philanthropic ecosystem can take root. 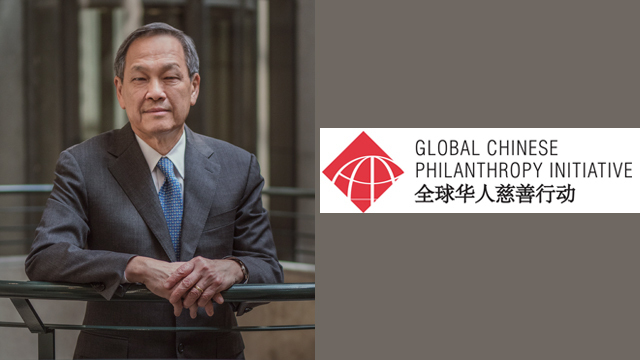 “First,” he says, “the today’s generation of self-made Chinese philanthropists approach their giving in pragmatic and programmatic ways; so one goal of the next phase is to expand and create more efficient ways by which donors and recipients can more effectively connect with each other. Technology can be a powerful tool in making this happen,” he observes. “Second, it became evident fairly early on that there is a growing next generation of philanthropists who approach their giving in a more holistic manner, integrating and collaborating in entrepreneurial ways to leverage the impact of their own giving,” he notes. “I’m excited to hear the next-generation panel at the Tsinghua Forum discuss this and how they plan to expand this aspect of the ecosystem,” he adds. Long hopes that the Tsinghua Forum will serve to expand the philanthropic ecosystem in both scope and scale. “I think the greatest take away from Phase I is that this is just the tip of the iceberg,” he says. “There is a great deal of interest from different stakeholders in continuing to develop the many aspects and contributions of Chinese as philanthropists,” he elaborates. “In particular, it’s gratifying to see academics and industry working hand in hand in growing and shaping future research and dialogue. In 1992, Long and his wife Marilyn established the Long Family Foundation, where she serves as president and executive director. The Foundation focuses its work on religious, educational, cultural and research endeavors in the United States and China. Among the many activities it supports are Asian American and U.S.-China initiatives, scholarships, arts programs, public sculpture projects and Christian ministries. In addition to his own foundation, Long has created two research centers that seek to promote innovation by combining academic research with professional know-how: the Ziman Center for Real Estate at the UCLA Anderson School of Management (established in 2000) and the Long U.S.-China Institute for Business, Law and Society at UC Irvine (2010). The UCLA Ziman Center, where Long continues to serve as founding chairman, seeks to harness the power of academic research and industry initiatives to help redefine the role of real estate in the 21st century. The Long Institute at UCI builds on this idea by promoting informed Sino-American relations through research and using existing partnerships among UC campuses and Chinese universities to foster mutual understanding of social, business and legal challenges and opportunities in the two countries. GCPI, Long’s newest philanthropic venture, is now poised to expand its network and impact. In the coming months, the initiative will be working with the UCLA Asia Pacific Center and the Tsinghua Center for Chinese Entrepreneur Studies to strengthen their partnership and expand into a global philanthropy research collaborative.